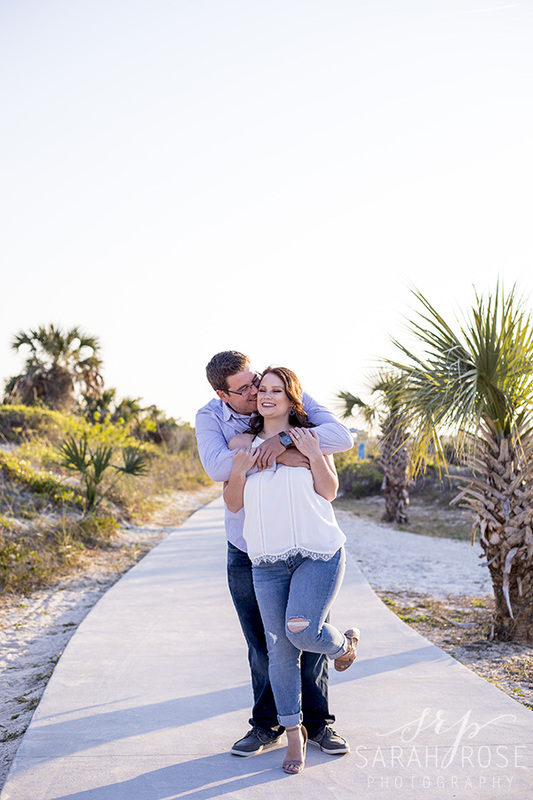 Many of you probably know that I love shooting at Ponce Inlet, just south of Port Orange. 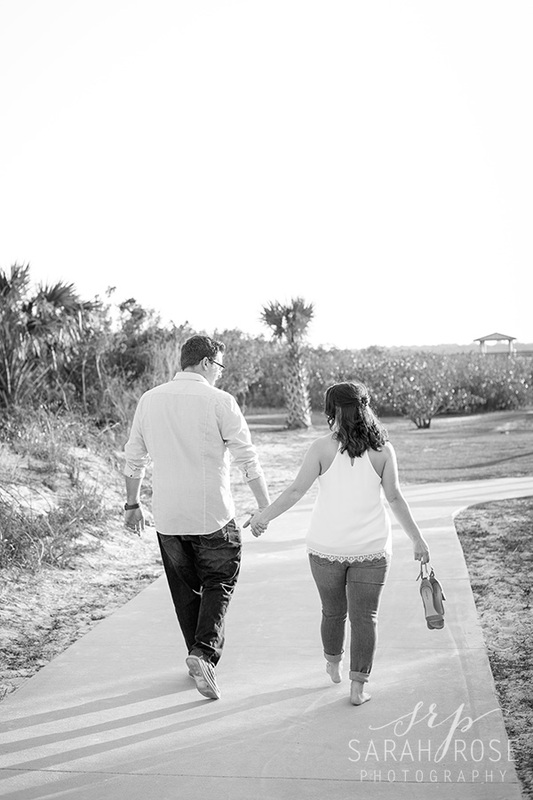 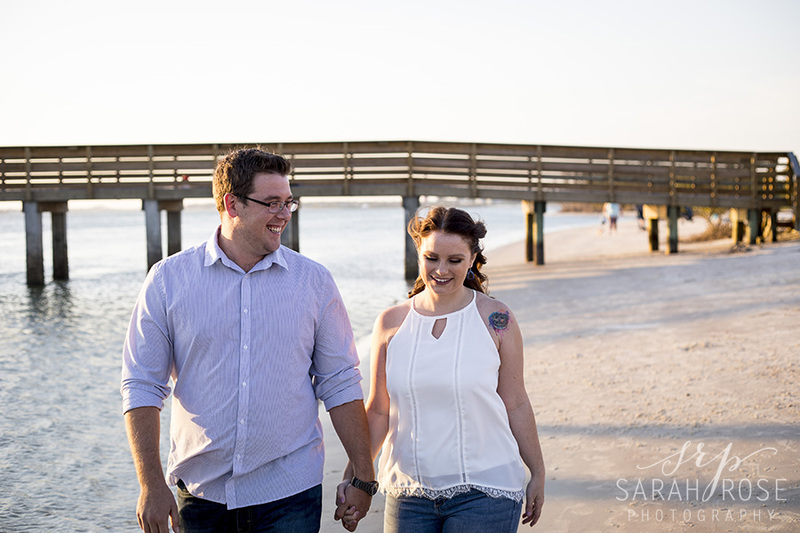 When Katie & Josh offered up Smyrna Dunes Park instead, I was pleasantly surprised! 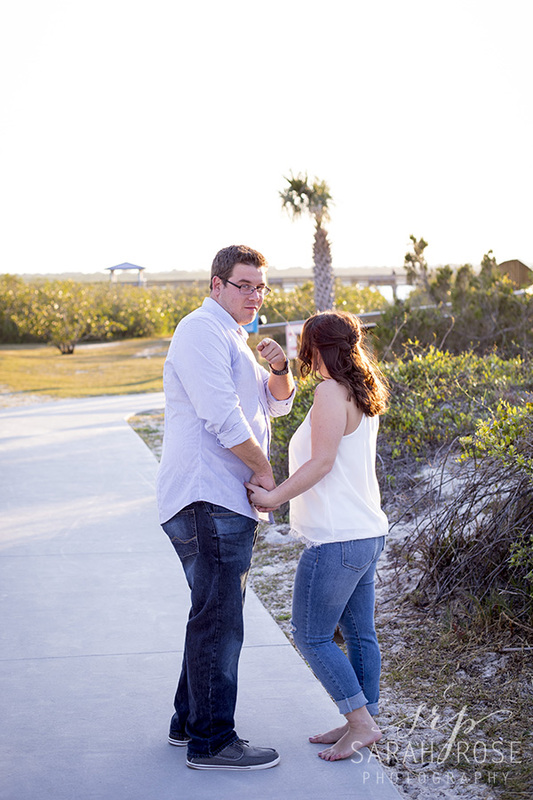 For those of you that don’t know, it’s the south side of Ponce Inlet, on the New Smyrna side. 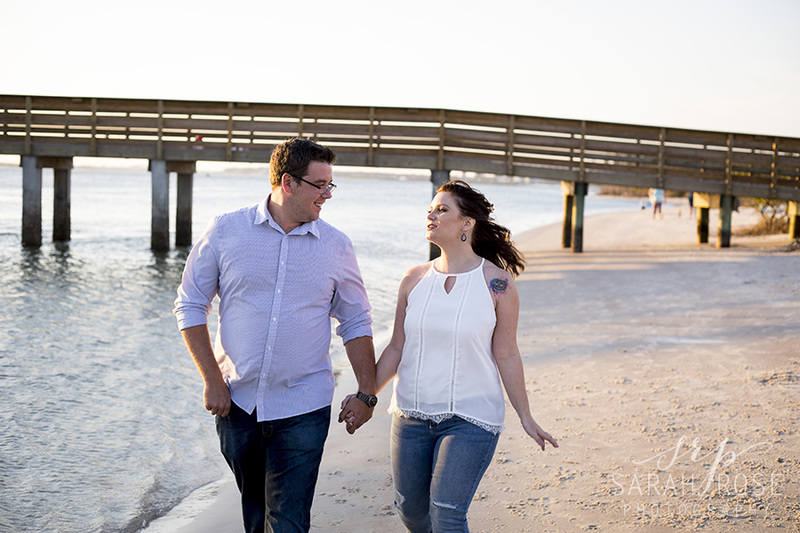 You can even see the light house from certain parts of the beach! 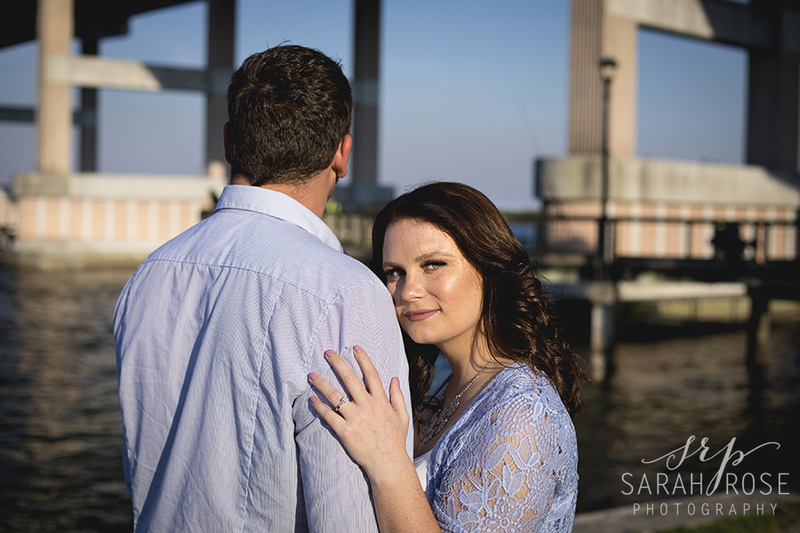 My surprise with this location was that the sunset was over the water. 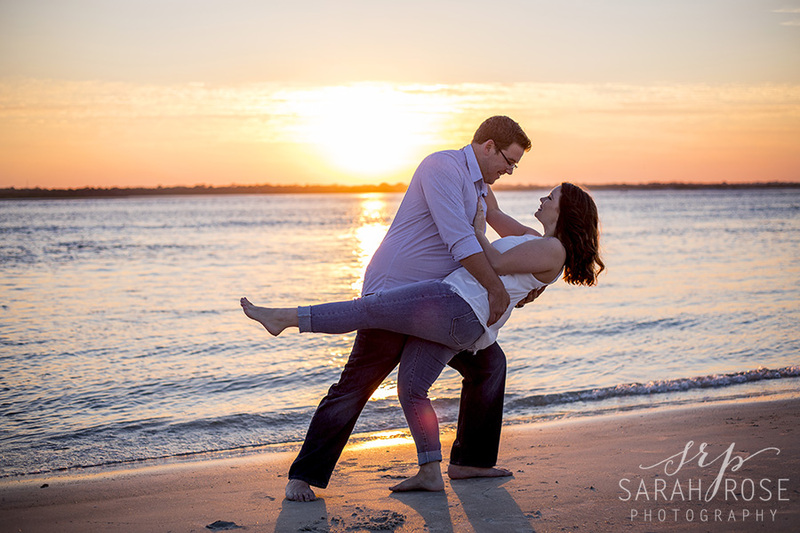 This is the East coast… the sun rises here. 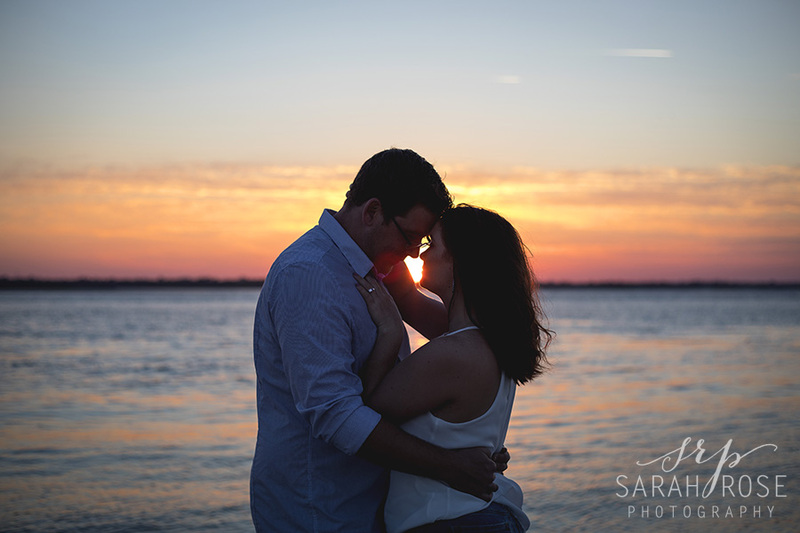 I’m still confused about how we got a colorful sunset as a backdrop, but I’ll take it! 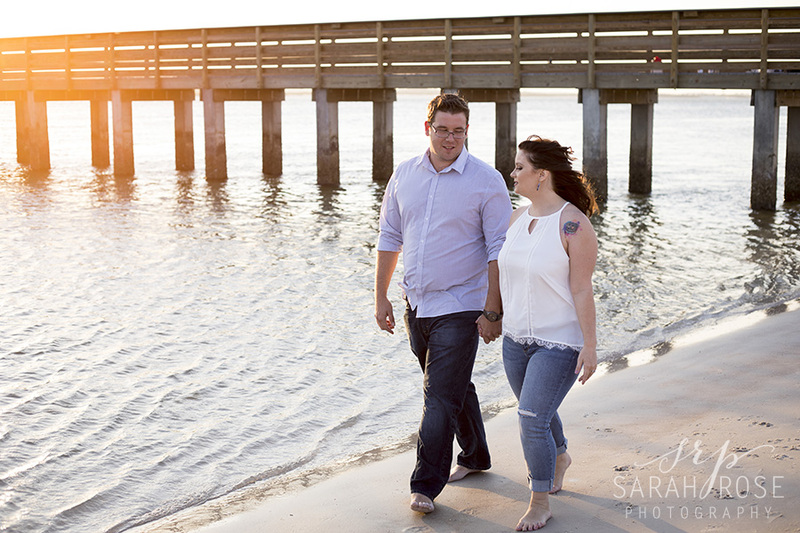 Scroll to the bottom to see how gorgeous the evening was for us. 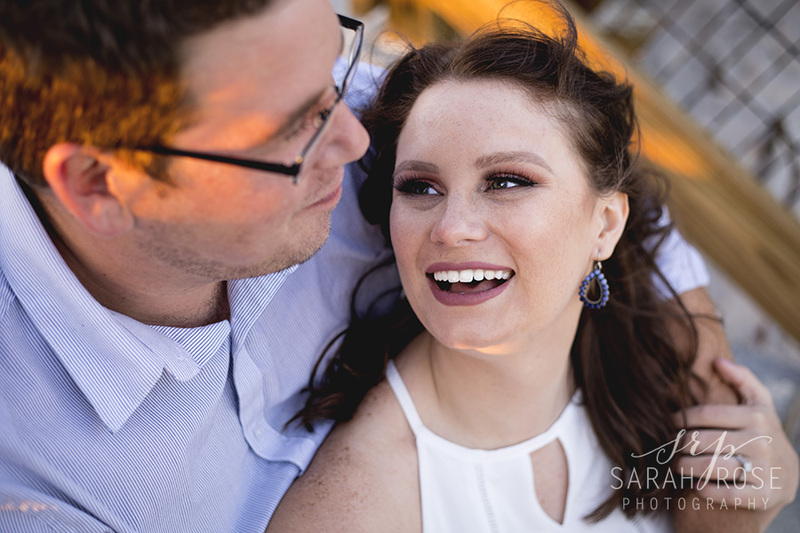 These two goofball lovebirds looked amazing and so in love! 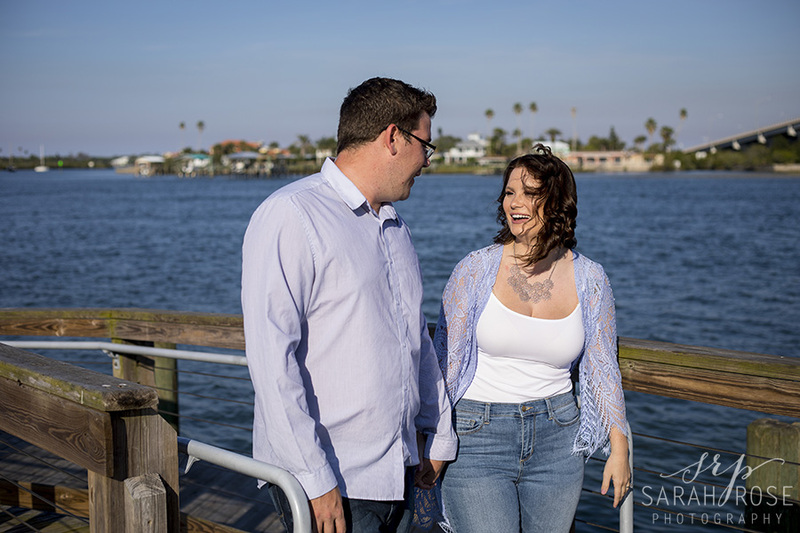 Then again, it’s not hard to look flawless when you can laugh so easily with each other. 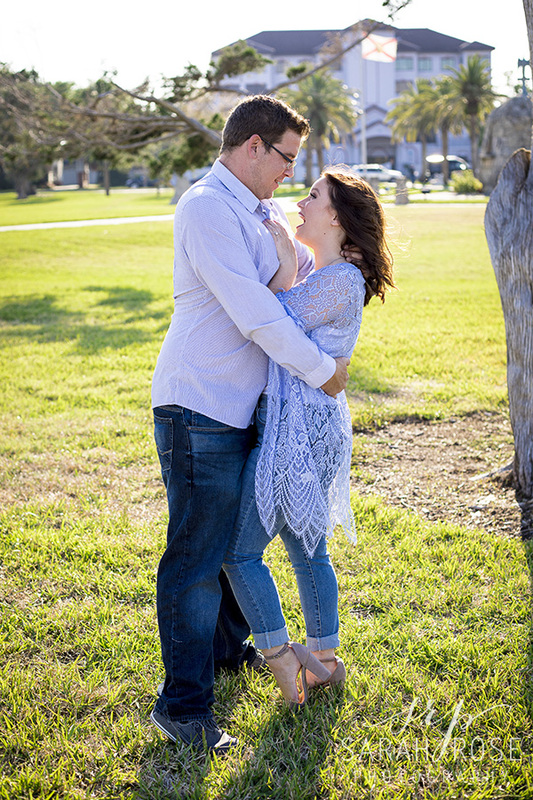 If you’re about to do your engagement session and are looking for outfit advice, take a look at theirs. 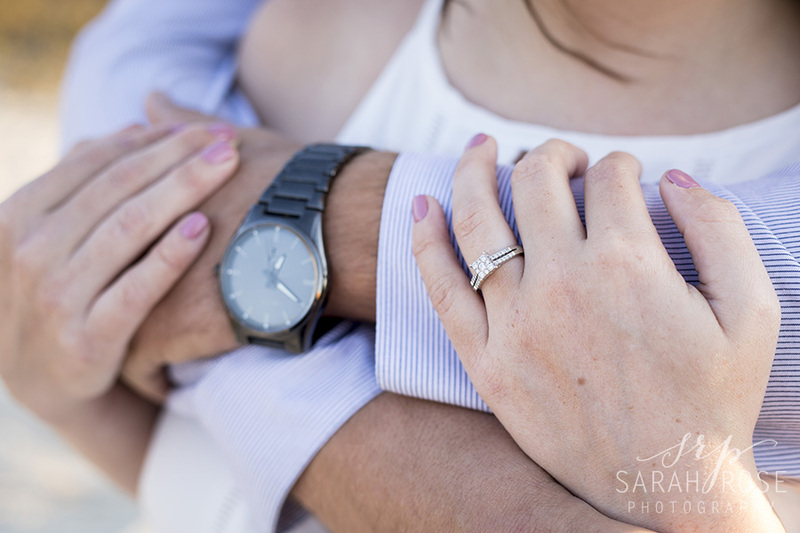 Accessories, patterns, and finishing touches. 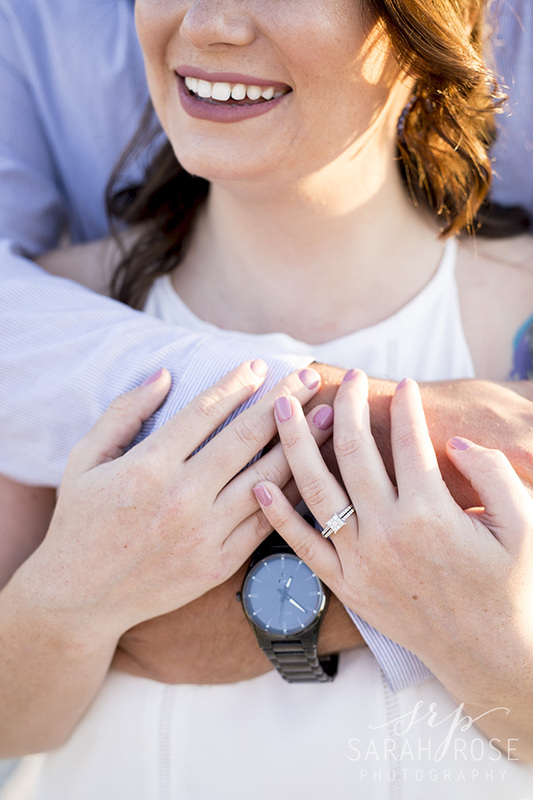 Do a test run with your make up artist, make sure your nails are clean or freshly done, have a nice watch for your man’s wrist. 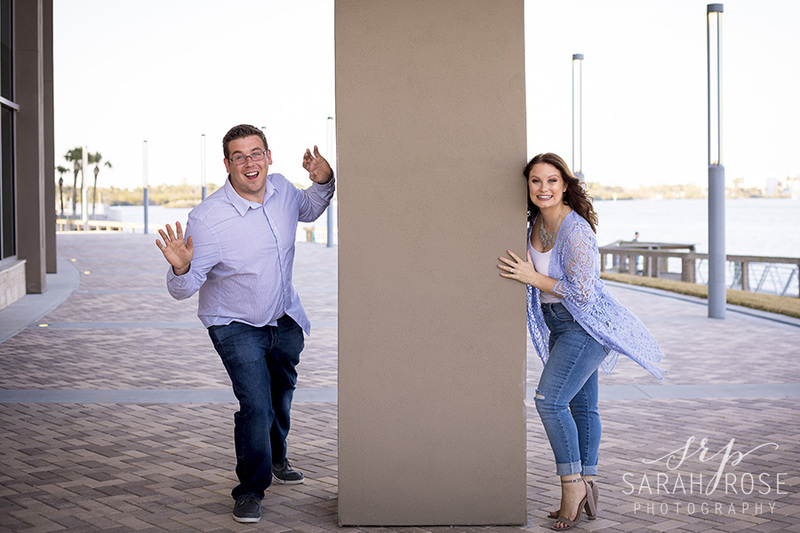 Don’t be afraid to be goofy or get intimate. 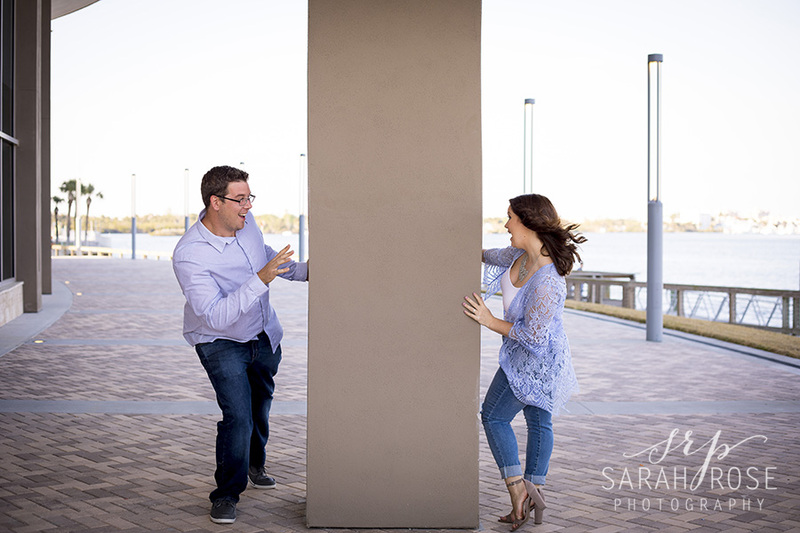 Your photographer will be able to guide you, but the risk taking is all yours! 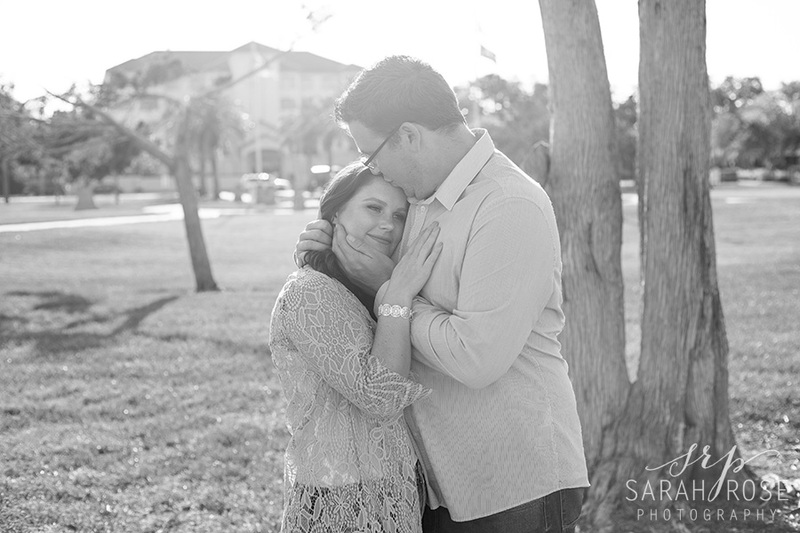 Make all the planning worth it by being open & vulnerable in front of the camera. 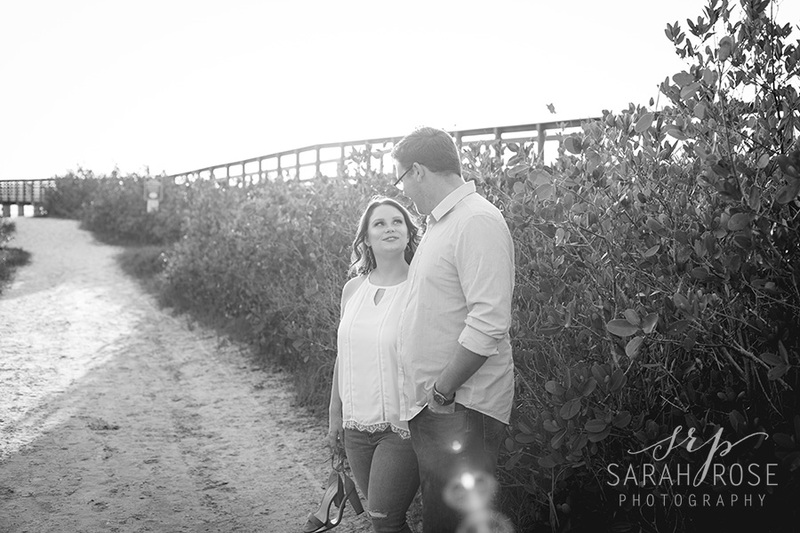 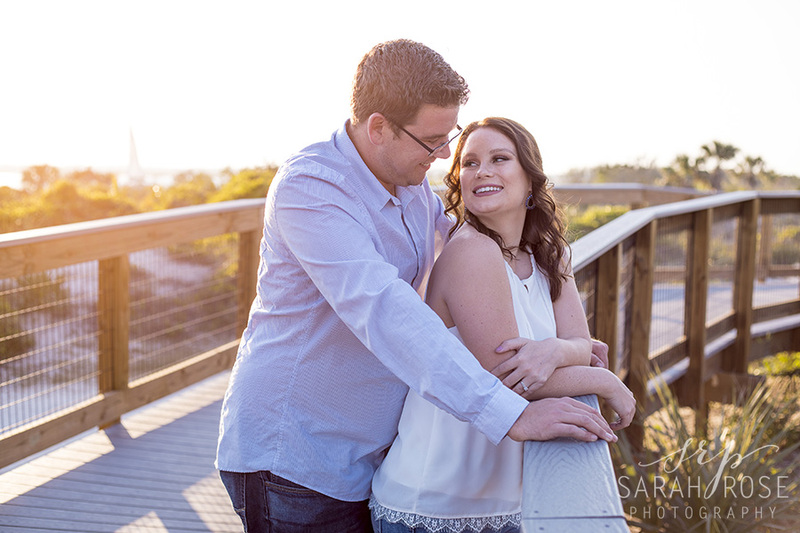 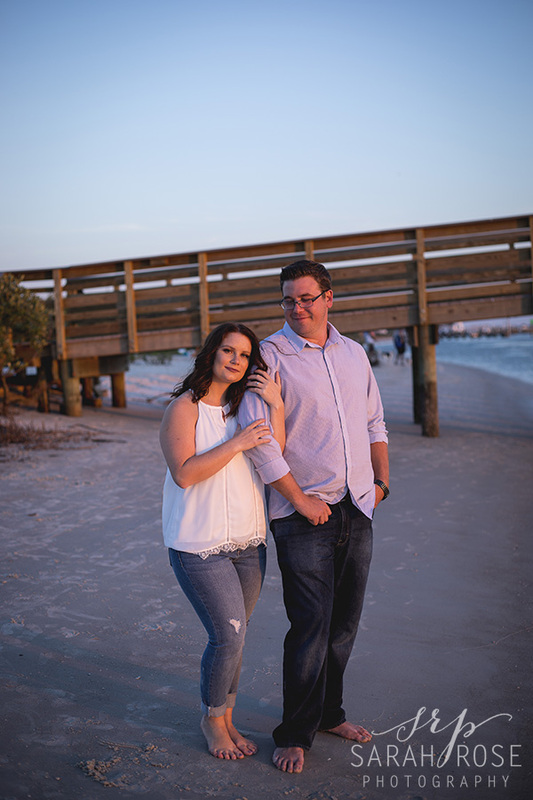 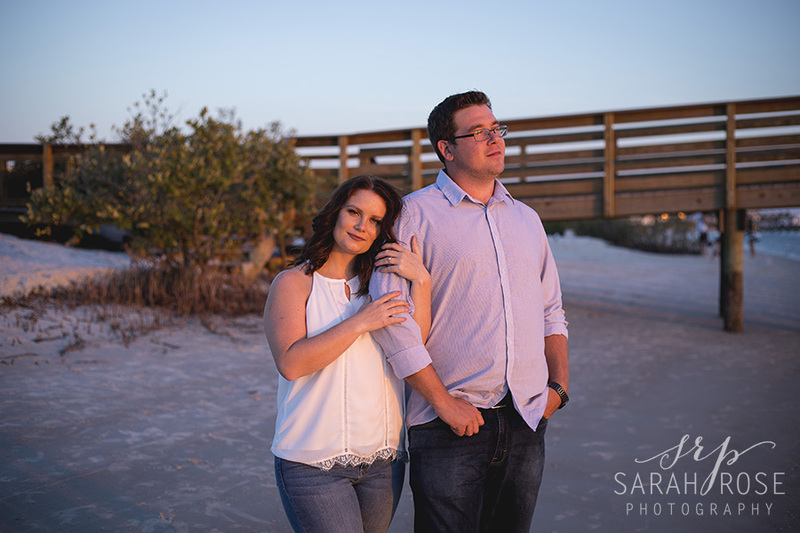 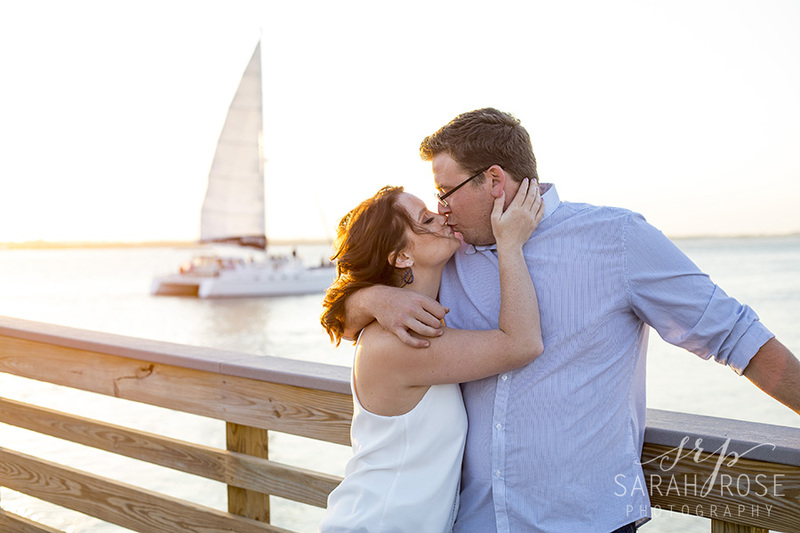 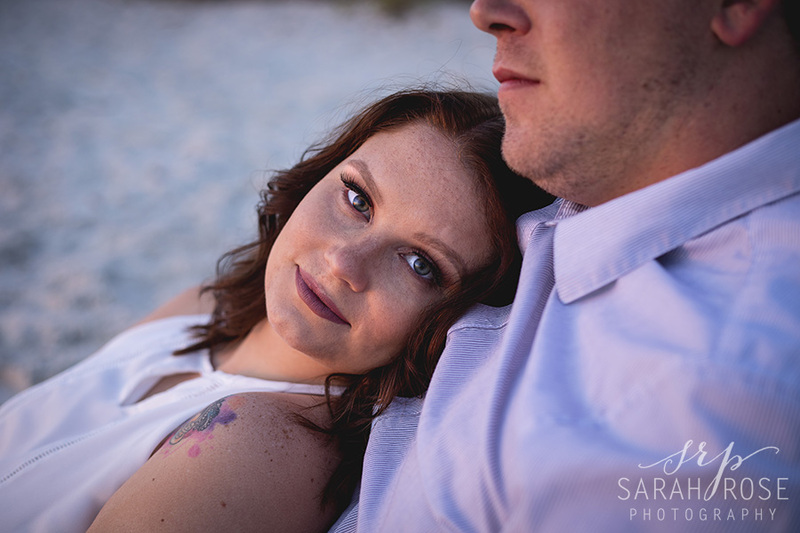 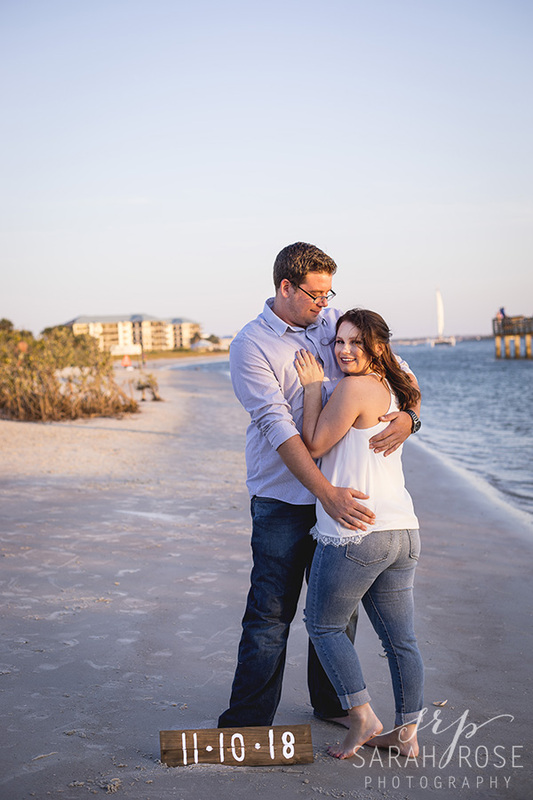 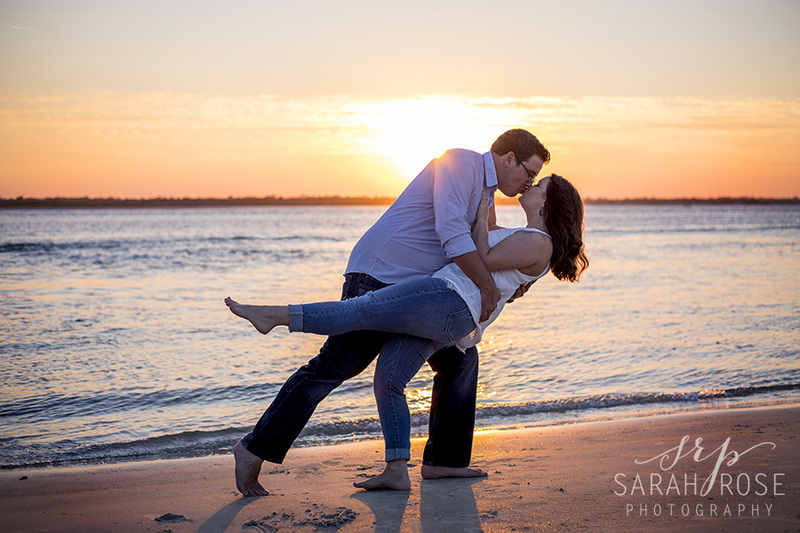 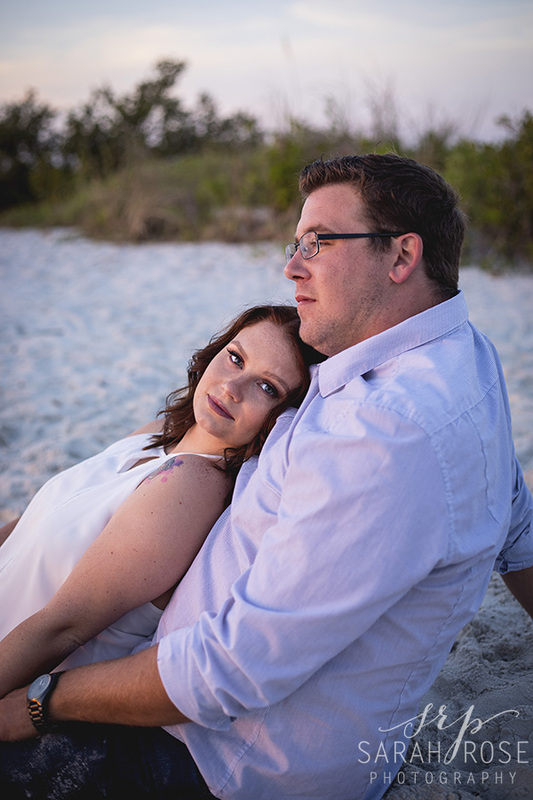 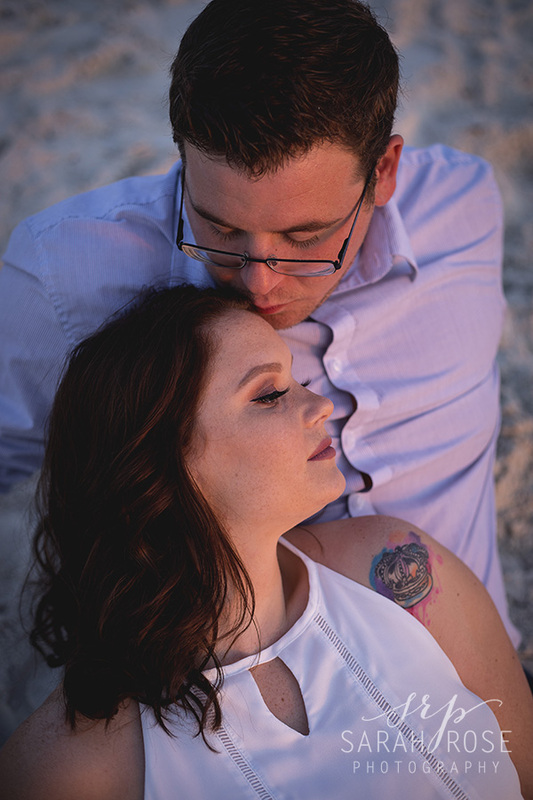 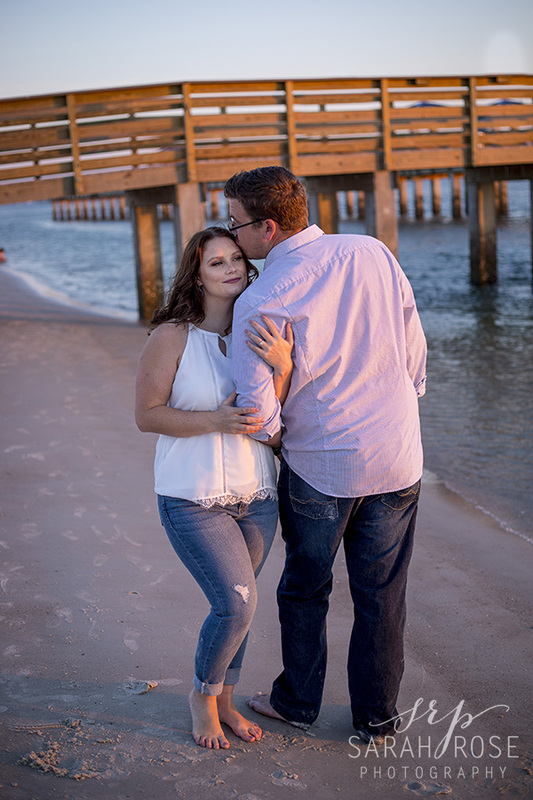 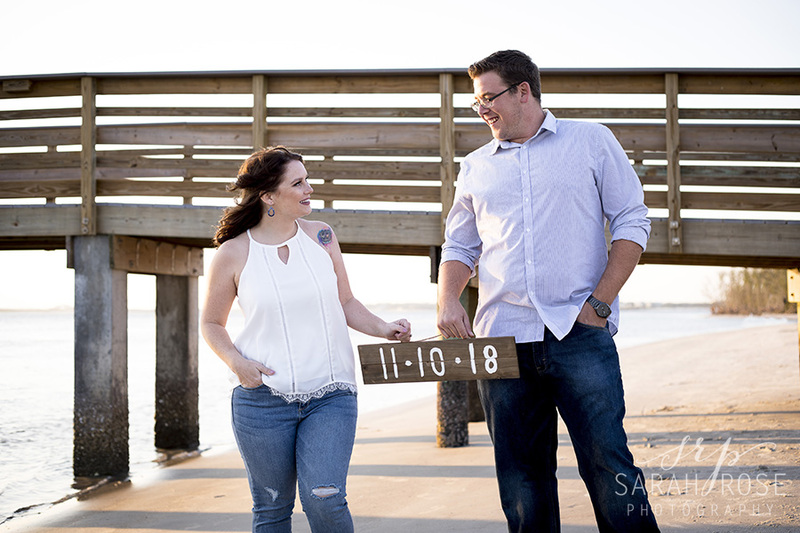 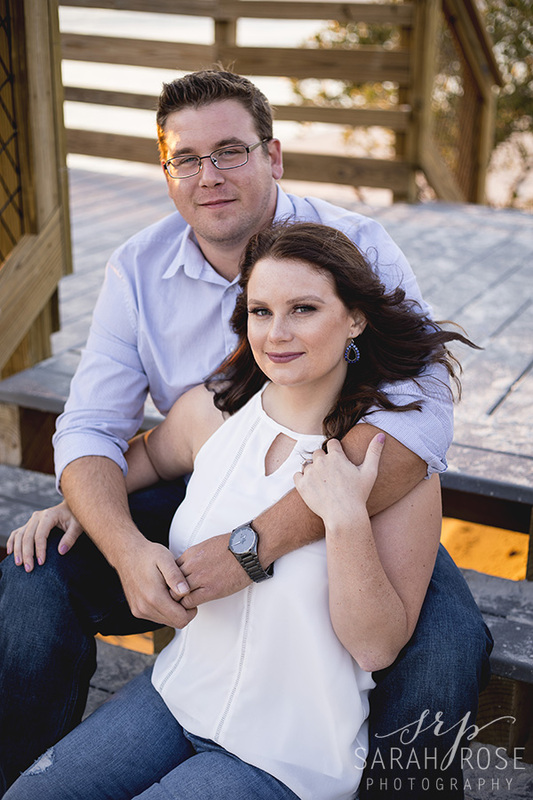 I had so much fun with Katie & Josh at their Smyrna Dunes Park engagement session! 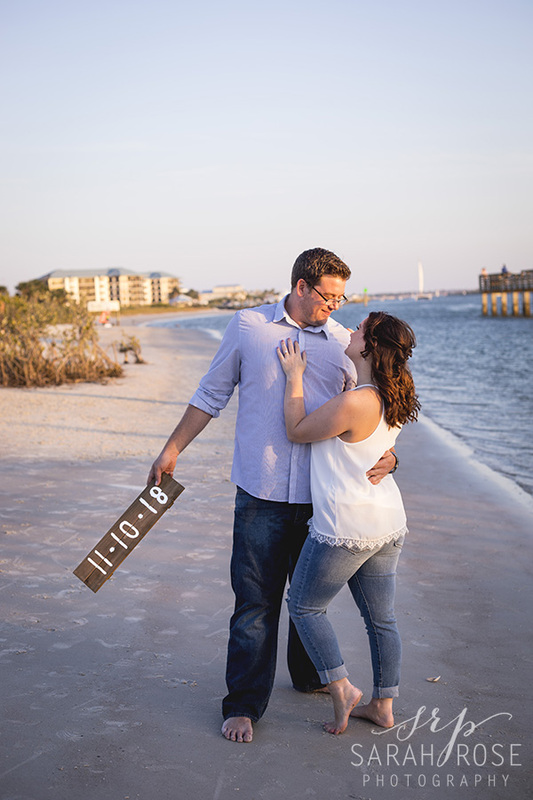 I can’t wait for their wedding in November! 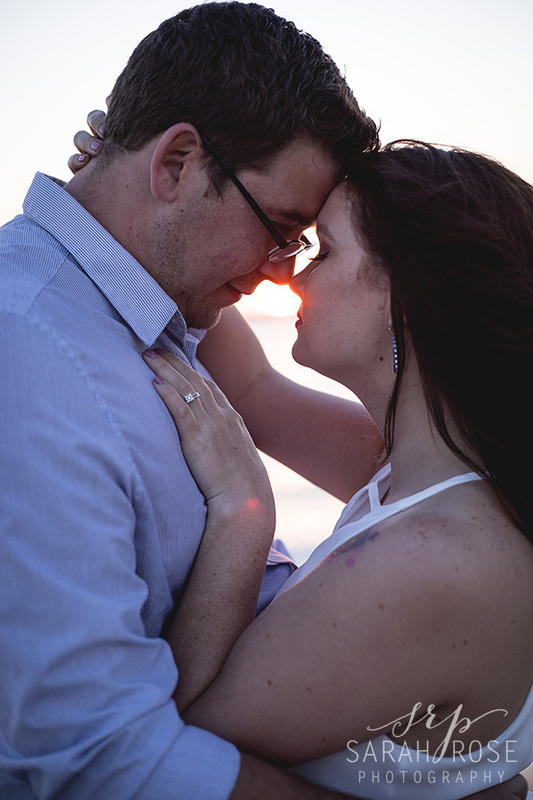 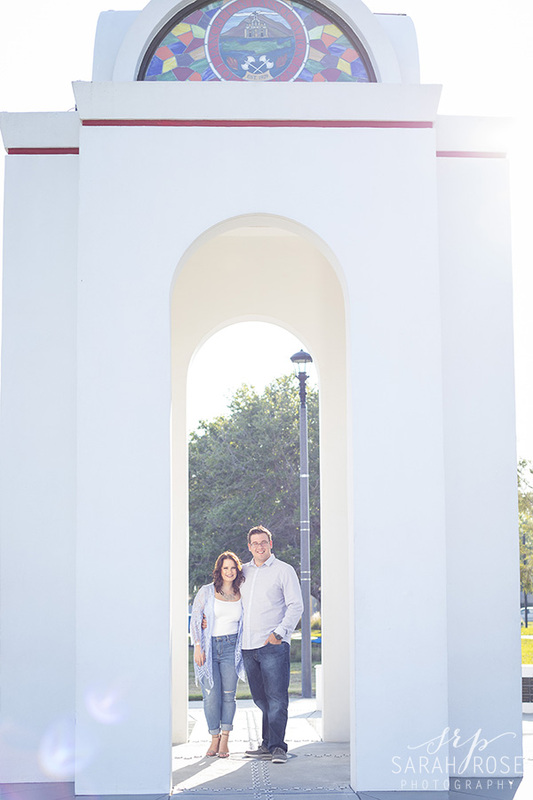 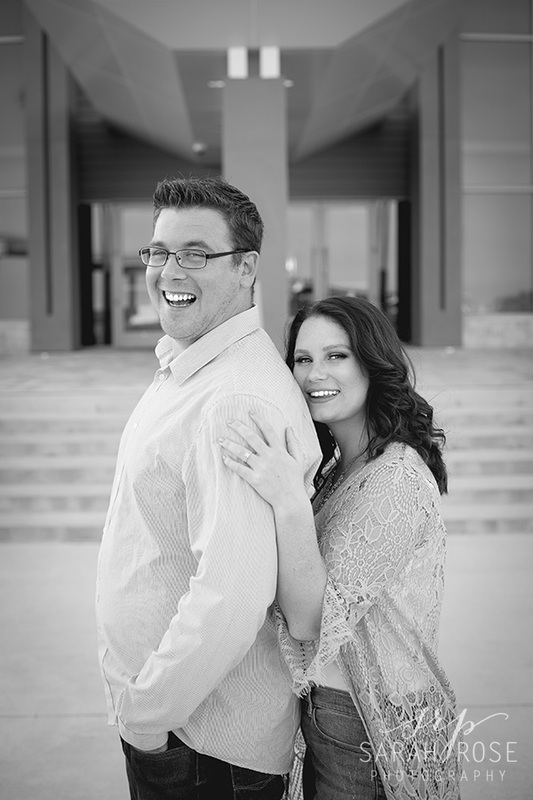 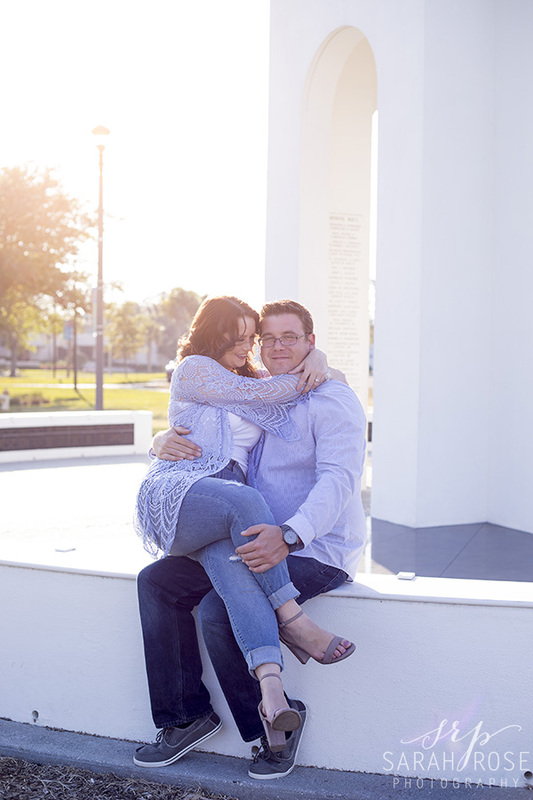 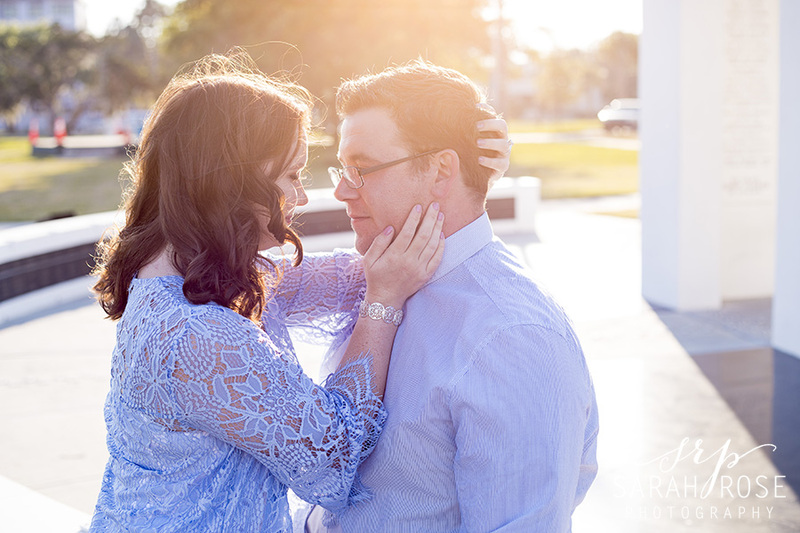 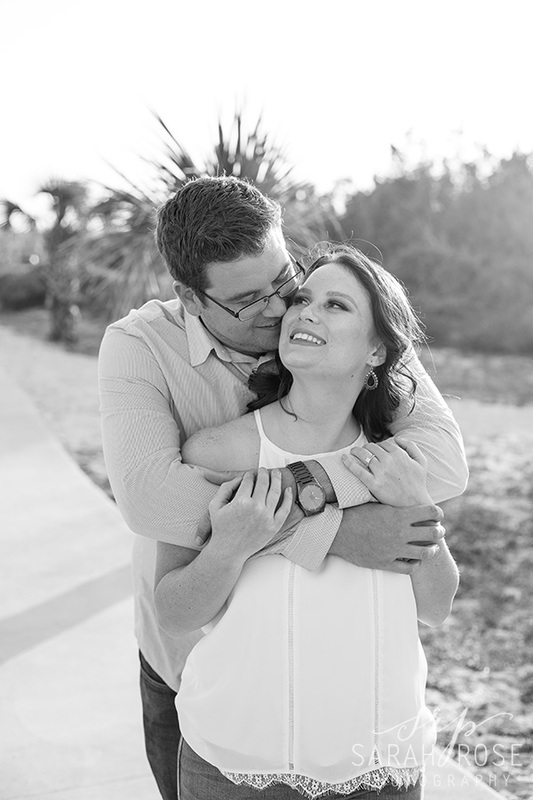 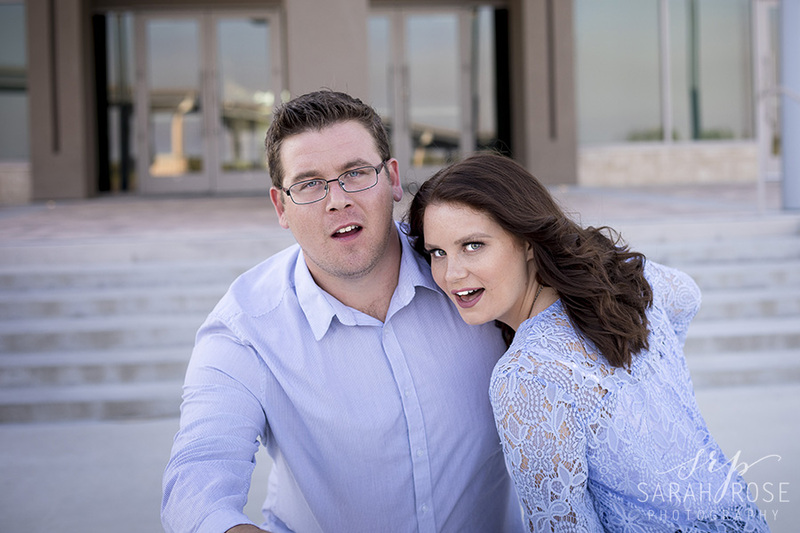 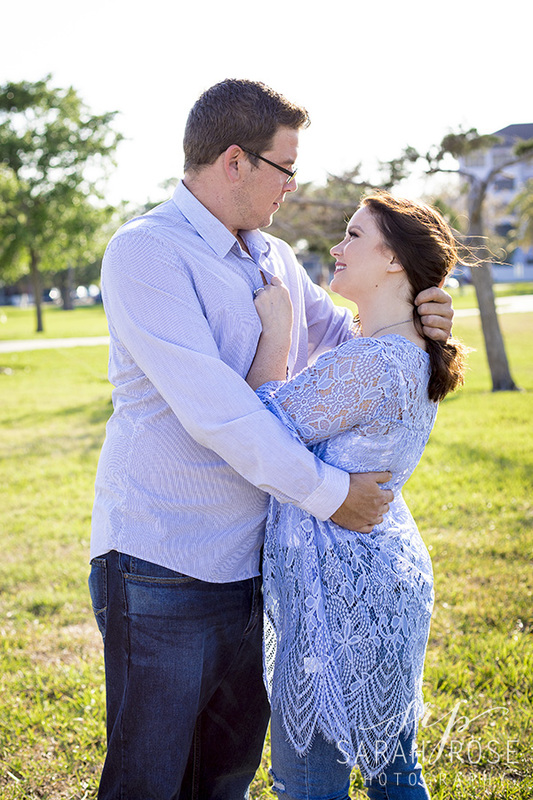 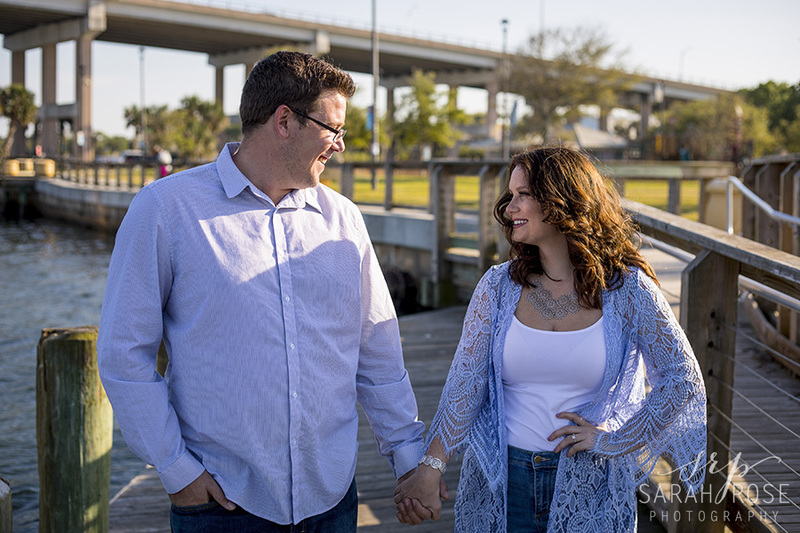 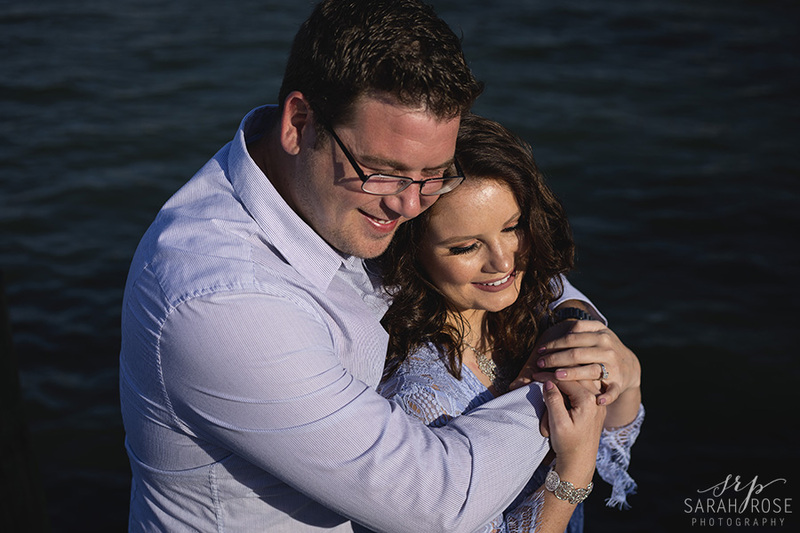 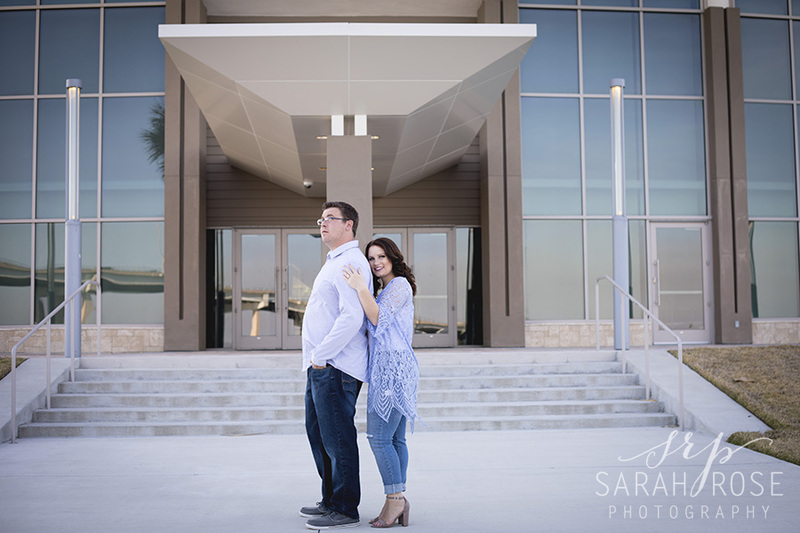 Thank you so much for viewing Katie & Josh’s engagement pictures. 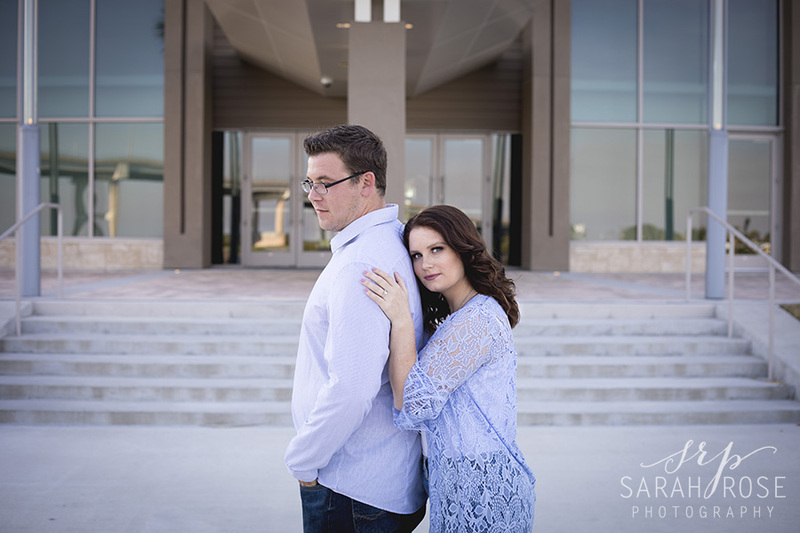 If you love these just as much as I do, let me know! 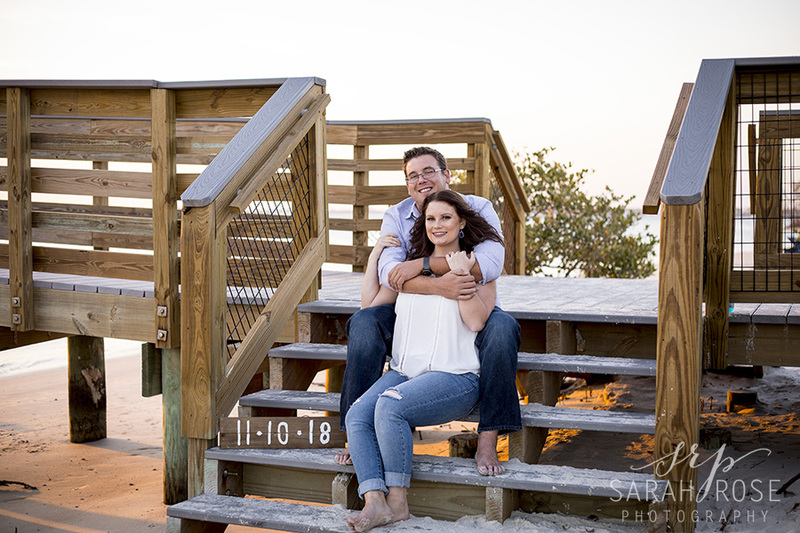 Contact me to book your beachy engagement session! 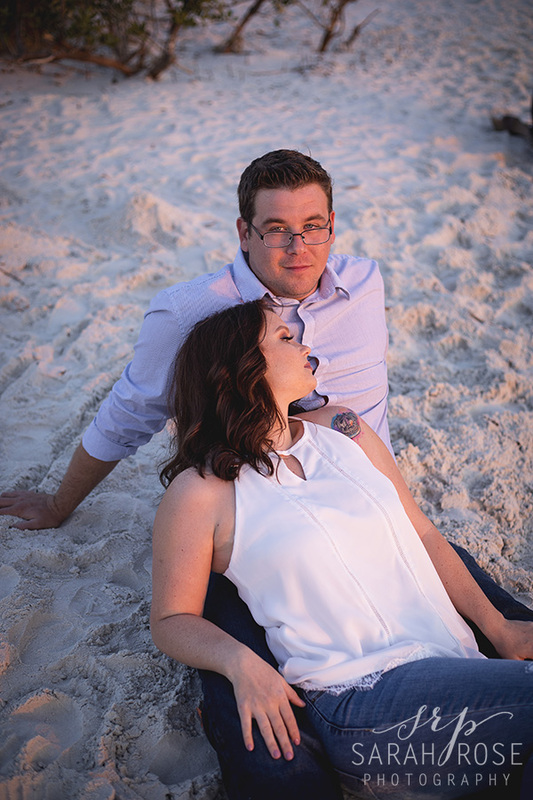 I look forward to speaking with you. 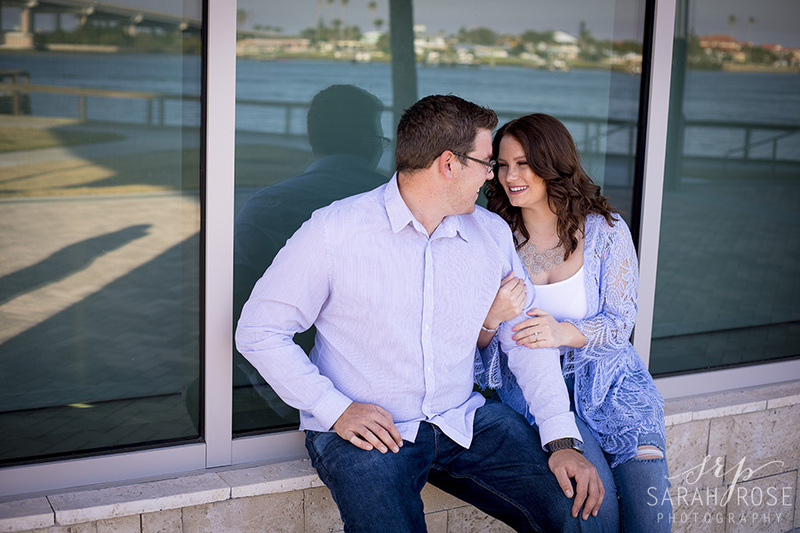 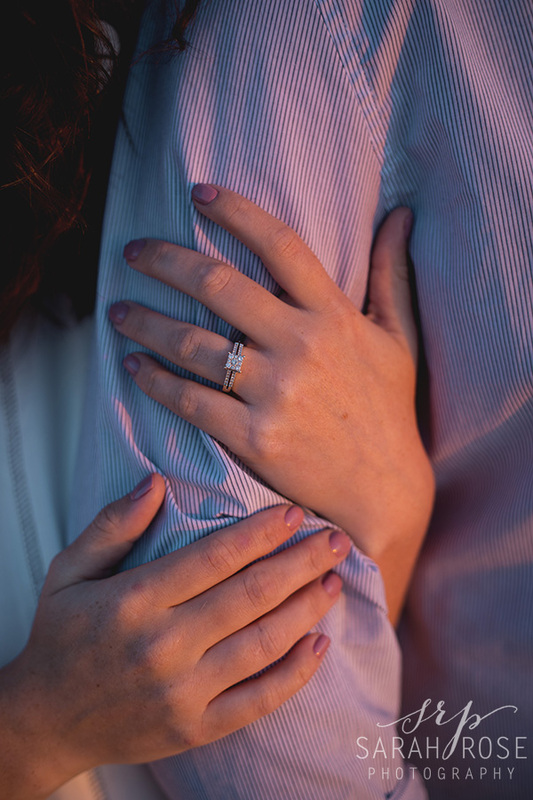 Come join the SRP engagement & wedding family!